They say that you get what you pay for and certainly, in the world of photography, there are some extremely good quality pieces of photography software that can hit you right in the hip pocket. But, depending on your specific needs as a photographer, there are also a lot of solid pieces of software that – while may not trouble any of the programs on our list of the best photography software in terms of features and polish – are totally free. Here is a list of the top 100 pieces of free photo editing software and management tools. Screenshot of a bunch of free image editing software! Let us at first look at some powerful software, that is packed with amazing features to process RAW file. Then we will focus on other simpler software with less features and finally some very basic editing packages that will help you, if you are just looking for exposure adjustments and other very basic edits. 1. RAWTherapee – Although the name might sound a bit unusual, Rawtherapee is a post-processing program that supports RAW files of various formats and has a powerful curve tool as well. It has most of Lightroom’s features, but not all. As an open source piece of software with regular updates, Rawtherapee is available free to download for Mac, Windows and Linux. It can be a bit slower compared to Lightroom. 2. UFRaw – Not very well known, this RAW image editor is available free to use for Mac, Windows and Linux and has a very neat and easy to use interface. It can be used as standalone software or as a GIMP plugin. Tools are arranged in tabs and the software lets you save images in various formats. Although UFRaw is powerful enough to process RAW files, there are some important features still missing, like sharpening and embedding EXIF data. 3. GIMP – Almost suggested by all when asked for a free alternative to Photoshop, is GIMP, which is also known as GNU image manipulation program. GIMP was originally created as an open source program equivalent to Photoshop and with continuous updates so far, GIMP has made its place as the main free competitor to Photoshop. A lot of features that are available in Photoshop are available in this software. Don’t worry about what OS you are on, GIMP is a cross platform image editor that works on Windows, Mac and Linux. And what's more, GIMP also supports the use of plugins. While it is not as versatile as premium photo editing software, it can’t be faulted for its features and its layout (which is very close to Photoshop). It should be noted that there is a learning curve to mastering GIMP. 4. Gimpshop – this is an open source software program and a modification to GIMP. It supports all operating systems and has most of the features of Photoshop like layers, channels, masks, filters, levels, etc. It allows for advanced level photo enhancement, lets you customise your workspace and allows working on and exporting various file formats. One of the exclusive features of Gimpshop is the “Cage Transform Tool” that allows the user to warp just parts of an object. 5. Darktable – Another open source application that supports the development of RAW files and image management, is Darktable. Very similar to Photoshop and Lightroom, this allows non-destructive editing and allows exporting images in multiple formats. It also lets one catalog, keyword and add information about images and has modules similar to that of Lightroom. The advantages are the variety of plugins this powerful app has and once mastered, can be used very effectively. This software is available for Mac, Linux and Windows. 6. Luminance HDR – Are you a fan of HDR images? This is an open source GUI that can support a variety of image formats. A very powerful tool and if used properly can help create some beautiful HDR images. This open source software is available for Mac, Windows and Linux. 7. Phocus – software developed by Hasselblad for its users, but with some support for third party users too. It supports RAW files from many cameras and supports most of the Nikon and Canon camera formats. In addition to RAW, Phocus also supports TIFF, JPEG, DNG and PNG format files. Phocus has a nice GUI with features very similar to Lightroom and can be downloaded free from their website upon registration. It is more versatile on a Mac than on a Windows PC. 8. Photivo – another open source, RAW image processor. Like many others out there, this software provides a unique interface and tools to edit RAW, TIFF, BMP, PNG files and many more. The numerous tools on offer allow you to make some advanced post processing non-destructively. This package allows for GIMP integration, so you can directly transfer RAW photos between Photivo and GIMP and vice versa. 9. Lightzone – this RAW processing software is available for Mac, Windows, and Linux. This software works a bit differently. Instead of working with layers, as most of these offerings do, Lightzone lets users build a stack of tools that can be rearranged and turned on or off. These stacks can be copied and applied to a batch of photos. This software also lets rating, batch processing, non-destructive editing and tone curve modification. Following are some software packages that could be very useful for beginners: If you know the basics of editing and want to go a step further into exploring the field of post-processing, you can give the following free software a try. These offerings are not as feature-filled but are still good enough for beginners and they are free! 10. Digikam – heard of this one before? This is another free RAW processing editing package which is open source. This software can handle large libraries. This is available only for Windows and Linux and has some advanced editing tools. Images can be exported in many formats. 11. Photopad – this freeware is available for just personal and non-commercial purposes. It lets you edit RAW and BMP images and supports most of the image formats. This software is packed with some amazing features great for beginners and apart from basic adjustments, includes, sharpening, noise reduction, merging to create HDR, working with layers and non-destructive editing. 12. Photo Filtre 7 – is a complete image retouching software that allows the user to make advanced processing to an image and has various filters that can be applied to the image. This software is very easy to use and has a layer manager with advanced brushes, modules, and others. While Photofiltre 7 is free, it has some limitations compared with its commercial or professional Studio version which is delivered as shareware, PhotoFiltre Studio X. 13. Fotor – A RAW image processing software available free for Mac and Windows and supports importing and exporting various file formats. There are some good tools that include color correction, basic adjustments, image manipulation, and transformation. You can also view the complete EXIF data of images. Fotor also has a web-based app with some basic adjustments, fine tune adjustments, white balance settings, curves and resizing options. There are many effects available, with many of them being paid, which is a bit of a disappointment. 14. Paint.NET – This software provides an innovative user interface that supports layers, special effects and other powerful tools like transform, color and level adjustments, adding text, etc. Even though it is powerful, it is very easy to use, but sadly can be used only on Windows. With the help of the RawLoader plugin, you can open and edit RAW files in this app. There are also many other plugins that make this software very versatile. 15. Chasys Draw IES – A good image processing software that supports RAW formats and includes a layer based editor. There are many amazing tools built into this free software that lets the user fine-tune their images. It also supports various other file formats but is available free only for Windows. 16. Polarr – This software can be used online via any up to date browser or downloaded. The app is built with some rich features that include adjusting white balance, HSL, curves, lens distortion, details, and others. It runs on all operating systems including the ones for desktop and mobile. However there is a pro version that is paid, and features like radial, gradient, color, brush masks, Denoise tools, some filters, etc are available only in the paid version. 17. Photoshop Express Editor – This is a web-based version that is free and very easy to use. It has a very clear and simple interface with most of the important tools built in. While it does not require any registration or installation, it depends on a fast internet connection. At the moment, you can only edit jpeg images and not any other formats, which can be a bit limiting. 18. Pixlr – A photo editor with a family of photo editing apps like Pixlr Express, Pixlr Editor, Pixlr-O-Matic, Pixlr Today which are web apps that allow for some basic editing and lets you fine-tune images, though not for professional use. This web-based editor supports JPEGs and not RAW, does not require registration and is also available for mobile. 20. Ipiccy – a basic web-based editor that lets you quickly make some basic enhancements to images. If you do not want to get into the complexity of using layers and other sophisticated tools while editing, this one is definitely simple and worth trying. It has most of the basic adjustments including curves, HSL, clone, dodge, etc. Basic Editors: If you are a newbie to photography and/or editing, and want to get to grips with the basics of editing, the following software packages will help you get started. While many of these editing tools work on any operating systems, there are a few noted here that are built solely for Windows. 21. Faststone Image Viewer – This is a simple, feature-filled image viewer and editor that lets you view, manage and edit images using its editing tools including resizing, rotate, crop, sharpen, lighting, colors, curves, levels, etc. It also has features like clone stamp, healing brush, and red-eye removal. Although this is a straightforward offering, it does support RAW files of almost all types and opens and exports images in various formats. 22. Photoscape or Photoscape X – This is a fun photo editor that lets you quickly enhance your photos by making some very basic adjustments like white balance, brightness, colors, red-eye removal, etc. Batch editing, resizing, photo merge, collage, splitter, animated GIFs, are some more of the features offered by this software. 23. Pinta – this is an open source program that can run on Mac, Windows, and Linux. With a very simple to use interface, this software has some basic editing tools, lets users work with layers and has a history that lets you undo unwanted changes made to your images. 24. JPEGView – a light open source software package for image editing, that runs only on Windows. It has a very simple GUI and allows basic processing of images in various formats like JPEG, BMP, PNG, GIF, TIFF. 25. Seashore – this is an open source image editor developed only for Mac. It is based on GIMP’s technology and some of its features include gradients, textures, and layers. The user interface is unique and it is an app for users looking to do basic image editing. 26. Photo Pos Pro – this software is packed with some premium editing features and performs simple to complex tasks. It supports RAW files and many other types of file formats. Some of its powerful functions include selection tools, layers, and masks, gradients, batch operations, etc. and it has a user-friendly interface. The drawback, it only runs on Windows. 27. Image Analyzer – image editing software with some advanced features that are not available in most advanced free software. It features basic adjustments, adaptive filters for noise reduction, retouch tools, supports layers and supports various file formats. This software is available only for Windows and does not support RAW. 28. Visions – this is another image viewer/editor, solely built for Windows. It comes with some basic enhancement tools and is very easy to use. It also has a unique interface, unlike some software packages that emulate Photoshop. 29. PixBuilder Studio – this is another free Windows only software package that works for both beginners and professionals. It allows for some basic adjustments to professional editing that involves layers, curves, gradients, masks, sharpen, transform, clone stamp, healing brush, etc. Unfortunately, it does not support RAW files. 30. IrfanView – software most of us would have used in the good old days when digital cameras were just entering the market. This app is one of the first Windows graphics viewers that is compact and has some interesting features. It is a good app for beginners to start with, with most of the basic adjustments, basic enhancements and while it is a Windows only app, it does support numerous file formats. Next is a list of very basic tools, with a combination of both standalone and browser-based apps. These can come in handy to quickly make the most basic modifications like exposure, contrasts, saturation, crop, etc. Some of these editing suites let you adjust white balance, work with curves and even have adjustment layers + nondestructive editing. This list consists of web-based and standalone apps. And, there are some paint/illustration programs included here that are also capable of some basic image processing. 31. Shotwell – this is a photo manager for Linux users that helps the user organize photos, apply tags/keywords, and do some basic adjustments like crop, rotate, enhance photos, color correction, etc. Although simple, it supports RAW formats which is a huge positive for photographers. 32. F-Spot – another simple app for the Linux desktop, this software helps you to organize images and do some basic enhancements like crop, brightness, contrast, color adjustments, temperature, tagging, etc. It supports RAW and a few other file formats and lets the user view and export EXIF details. Not sure if there is still support from the developers, as the latest version is from December 2010. 33. Hornil StylePix – an image editor for Windows, which is light and has features like enhance and restore, and tools like, text tool, selection tool, batch processing, supports layers, filters and has the transform tool. It also has a paid pro version that offers some more advanced functionality. 34. Acorn – this is an image editor for Mac OS and its recent version has an improved crop, shape processor, clone, text tool, levels and curves, blend modes and much more. A highlight about this app is that you can import Photoshop brushes (.abr files) in here and make new brushes. It also supports importing .psd files. 35. LazPaint – a free open source image editor that runs on all platforms. It has most of the basic tools required to enhance an image along with some filters. This software can operate alongside GIMP and can read/write various file formats. 36. Pixeluvo – a photo editor for Windows and Linux desktop with a modern UI, that supports layer-based image editing. It lets the user make basic editing and some complex image manipulations. An advantage is that it supports RAW formats for many cameras. While this software is free, some features are available only for paid premium users. 37. ImageJ – an open source image editor written in Java that runs on all platforms. It supports many file formats, unfortunately not RAW, and has various tools like selection tools, enhancement tools, and some color adjustments. 38. PixBuilder Studio – this software is free and runs on Windows only. You can do some decent editing and manipulate images using color adjustments, layers, gradients, masks and with tools like transform, healing brush and clone stamp. It supports a few image formats like JPEG, GIF, PNG, etc. 39. PencilSheep – a cross-platform software that can be downloaded or simply run on the browser. It has some good editing tools like layers, filters, adjustment layers, brushes and supports RAW files. It also supports HDR and is free to download. 40. Fotografix – a very light and free image editor for Windows, it has some basic features like exposure and color adjustments, crop, clone, selection tools, working with layers and supports many file formats including PSD and GIMP files. It also comes with some useful tools like magic wand, eyedropper, gradient tool, and it lets the user sharpen, and adjust shadows/highlights. 41. 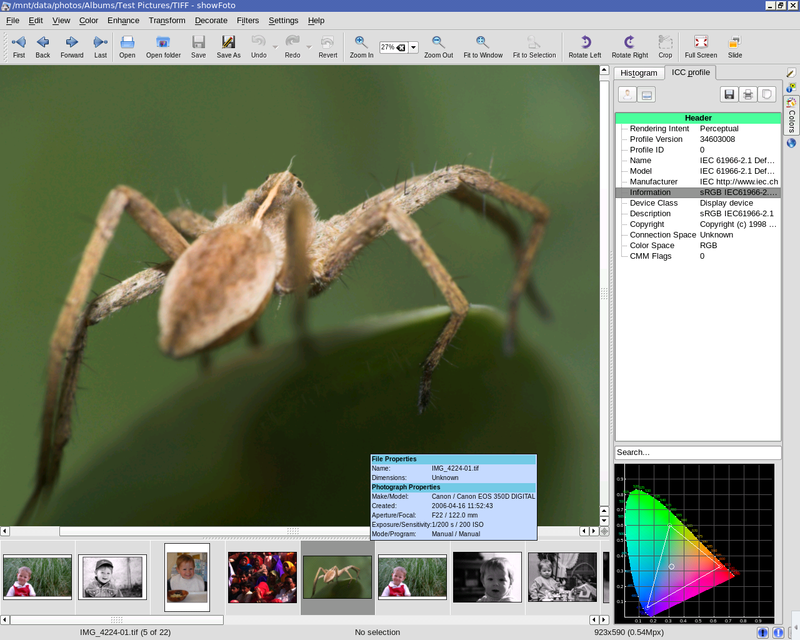 PhoXo – another very small open source image editor, that is designed to run on Windows. It is packed with features that include using layers, special effects, batch processing, selection and retouching/enhancement tools and various text effects. 42. PixelStyle – a photo editor for Mac that provides all the basic and essential tools for image processing. Some of the features include filters like blur, distortion, tilt-shift, adjustment tools like exposure, white balance, shadows/highlights, brightness/contrast, clarity, etc., tools for retouching, noise reduction, working with adjustment layers and the most important of all, it supports RAW processing. 43. PhotoDemon – a free, open source and portable image editor for Windows, that allows batch processing. It has most of the essential tools required for post processing like curves, brightness/contrast adjustment, color balance, white balance, various special effects, HSL, vibrance, transform and more. It also supports various file formats, including most RAW formats too! 44. ShowFoto – An open source, cross-platform, image editor that is part of the DigiKam project mentioned earlier. This software lets you manage, edit, enhance, organize, tag and share photographs. Most of the essential tools like color adjustments, tagging, rating, white balance, lens corrections are incorporated into this. 45. Image Enhancer – a free image editor developed for Windows user. Its main features include filters, working with multiple layers and it supports various file formats. It should be noted that there haven't been any updates from the developer since 2014. 46. Pixelitor – a free, open source image editor that supports layers, layer masks, gradients, blending modes, lets the user make color adjustments and is packed with lots of filters. While this app only allows saving the layer structure in a format that can only be opened in Pixelitor and not others, it does let you save the final image in the common formats. 47. SharpShot – a multi-platform picture editing app, that is very simple to use, unlike say GIMP or Photoshop. It has some good features like batch processing, basic adjustment tools, metadata browser and some helpful features like sharpening and noise reduction. 48. Chocoflop – software for Mac users, that allows for nondestructive editing. This small but fast software supports layers and has several filters and editing + enhancement tools. Unfortunately, the development part of this software has been discontinued, with no further updates and runs on OS X Leopard (version 10.5). 49. CodedColor PhotoStudio – software for Windows only, this app has a pro and basic version. You have a 30 days trial period to try the pro version and then decide on whether to stick to the basic version – which is free – or buy the pro version. This software lets you edit images, make color adjustments, batch process, correct perspective, adjust white balance, organize images and supports RAW formats. 50. LiveQuartz – free software for Mac users that makes layer management a breeze via nondestructive editing. It is also loaded with a lot of dynamic filters and has all of its user interface in one window. 51. Thumba – Free image editor for Windows that lets the user make simple adjustments to their image, apply effects and create a beautiful image in a fast and easy way. 52. ImageForge – straightforward software available for Windows, this app has a set of powerful tools for editing images, applying filters and lets you create slideshows. The standard version is free, whereas the Pro version, which has some advanced editing tools, is paid. 53. ShiftN – Windows software for correcting perspectives or, in other words, used to analyze images and correct converging lines. Although this software may not do much in terms of image editing, it can be helpful for architectural photographers. 54. PT Photo Editor – Windows-based software that lets you improve, correct, repair and retouch images, quickly remove red-eye, remove blemishes, provides clone and heal brushes and also allows for smart selective editing. It also comes loaded with some customisable presets. While the basic version is free, if you are looking for some professional tools, you’ll have to buy a pro version. 55. Ashampoo Photo Commander – software developed to run on Windows that lets the user manage, organize and auto adjust images. It has some basic editing features along with noise removal, some special effects and supports numerous file formats. 56. Magix Photo Designer – this Windows app is designed for making some basic corrections to an image. Some of the features include selective lightening, removing objects, panorama, red-eye removal, etc. It also has a set of selection tools, blend tools, and a distortion tool. For the fun part, it lets you create photo caricatures and has some artistic filters too. 57. VirtualStudio -this Windows-based software has some good features that can also run a few plugins and comes with VirtualPhotographer. It runs many of Photoshop's plugins, supports layers and blend modes, lets you make image adjustments, including white balance and sharpening, has the curves functionality, histograms, and supports around 30 file formats including some RAW files. 58. Scarab Darkroom – a RAW file converter for Windows, this software lets the user make some basic adjustments to the image. The free version, however, lacks noise filtering, has fewer color controls and does not support many new camera models. The full version is available to buy. 59. Imagia – photo editing software for Windows, with a lot of features for creating a beautiful image. This lets the user make some basic adjustments, apply filters and has features almost similar to Lightroom. While the “Lite” version is free, the “Pro” version is available for a price. 60. Photo! Editor – this is quite a powerful software package for Windows and has a good set of image editing tools. It lets you make color adjustments, make caricatures, add lights and has one of the best denoise tools. If you want to use this editor online, there is an online version too Pho.To that was mentioned before! 61. PC Image Editor – free image software for Windows that is fast and has tools to make basic adjustments required on an image. It also comes with some filters and effects that can be applied to images. A very simple piece of software, that supports only limited formats. 62. Free Picture Resizer – this Windows software, although it carries the name “Resizer” also lets the user make some basic adjustments to their images, batch processing, color correction and it has some filters. 63. Image Tricks Lite – Mac software that features the ability to apply filters to photos, add frames, mask pictures, etc. It also lets the user make basic adjustments to images. A quick and handy tool when your images require a little tweak. 64. XnView – Windows freeware for personal and educational use that lets the user process their images using tools like crop/rotate, brightness/contrast, levels, modify color depth and apply filters and effects. This is also an image viewer and lets you create slideshows. 65. Zoner Photo Studio – this Windows software has some basic editing tools that let you make some quick edits, enhancements and color adjustments in the basic version that is free. However, for some advanced editing, you will have to buy the paid version. 66. Preview – the Preview app that comes with Mac is not just for previewing images, but lets you also make some basic edits to your images. It also comes with some selection tools, shape tools, text tools and color adjustments. 67. Krita – although a tool for painting and illustrations, Krita, an open source and cross-platform app, lets users edit images with the help of its layer management, selection tools, layer masks to work nondestructively, transform tools and color management. It also comes with a bunch of filters and supports HDR. 68. Ultimate Paint – a Windows graphics/paint program that lets users manipulate images. The software has some built-in tools and filters that allow for some basic image processing. The standard freeware version does not support plugins, while the paid version supports Adobe plugins. 69. Cinepaint – open source paint software that comes with image editing tools; works on Linux and Mac. Key features include 32-bit image editing, retouching and supports most of the common file formats. 70. GrafX2 – a free image editing tool for all platforms. This software offers some image editing features using brushes, palette editor, and some effects. 71. Picturenaut – simple and efficient software that has features like exposure detection, image alignment and ghost removal to create beautiful HDR images. It supports RAW and PNG files. Unfortunately, it is available only for Windows with the Mac version under development. 72. Fhotoroom HDR – Windows only software that lets you process RAW images, by fixing exposure, color, and any distortions and allows the use of custom presets. It has an HDR workflow that has powerful image alignment, ghost removal, and tone mapping features to allow the user to create some dramatic HDRs. 73. Microsoft Image Composite Editor – An app by Microsoft that can stitch images to create high-resolution panoramas. This software also lets users create panoramas from panning videos, supports reading RAW files and exporting to a variety of image formats. It can also add missing pixels around the edges of panoramas thereby enabling complete images. 74. Google Photos – a good tool to organize photo libraries and do some really very basic editing for quick sharing. Not many options or tools in terms of detailed enhancement for professional work. 75. XnRetro – freeware for Windows that has some filters with retro effects, some lighting effects, and borders. One can make basic adjustments like contrast, gamma, saturation, vignette and noise reduction. 76. ON1 Effects – can be used as a standalone app or as a plugin for Lightroom and Photoshop. Runs on Mac and Windows with many stackable filters, textures, and borders. Adjustment brushes, gradients, etc. and other tools are available to make adjustments to images. 77. Canva – This a web-based app, also available for iOS, helps the user quickly create designs for banners, infographics, postcards, etc. You can create your own design or select one of the many available templates to start with. Canva which is mostly aimed at users who need to design stuff for sharing on social media also comes with a simple photo editor that lets you quickly make some basic adjustments like brightness, contrast, saturation, vignette, etc. so that you can quickly edit and share. 78. PicMonkey – this is an online photo editor and design maker that has some editing tools like crop/rotate, exposure, colors, sharpen and touch up tools like blemish fix, teeth whitening, brighten eyes, etc., filters, text tools, etc. Only some features are free, while the rest are available for paid premium users. 79. Photopea – an online photo editor that is totally free to use. It supports PSD files that can be exported as JPEG, PNG or GIF. Some of the features are crop / resize, brushes, supports layers, selection tools, adjustments, filters, etc. 80. Photo Raster – this is a free online photo editor that supports working with different layers, use adjustments for brightness/contrast, shadows/highlights, HSL, temperature, curves, vibrance, etc. and also has other features like, filters, masks, selection tools, transform, etc. Users can make some decent edits on images using this software. 81. PaintStar – free image processing software that lets the user retouch photographs, has customisable brushes, textures, and gradients, is enriched with tools like sharpening/blur, transform, gradients, selection tools and supports more than 30 file formats. It also lets the user work with layers, displays EXIF info and has more than 100 filters and effects. Runs only on Windows. 82. Pizap – a free online photo editor that has some basic adjustments like brightness, contrast, temperature, saturation, noise, soften, hue, etc. However, there are some special effects filters, that are available only in the pro version, which requires payment. You can still use the app for basic adjustments. 83. FreePhotoEditor.Tech – another online image editor that has most of the basic tools required for image processing. Some of its features include crop/rotate, color adjustments, picture styles, exposure, brightness, contrast, HSL, de-noise, Tilt-shift, etc. 84. Picozu – an online image editor that lets you edit images using filters, layers and has some editing tools like magic eraser, freehand selection, cropping, etc. It supports PSD files, has image retouching functions, and your final image can be saved in various formats. 85. Ribbet – a fun and easy online photo editor with features similar to picnik. Images can be fine-tuned using the tools incorporated and via the special effects it comes with. 86. Stet.io – an online free image editor with all the basic tools included like clone, red-eye removal, curves, brightness/contrast, clarity, HSL, noise reduction, temperature and supports working with layers. 87. Pho.to – this is an online editor for users who like to have fun effects on their images. Apart from the image fixing and enhancing tools, this editor has some cool features like one-click portrait retouch, photo frames, collages and filters to play around with. 88. Pixenate – A very basic online offering that lets the user make basic edits to their images and some functions like red-eye reduction, teeth whitening, and so on. It also has text and shape tools embedded within the software. 89. Phixr – A basic online photo editor that can be used to make some basic adjustments to images like temperature, vibrance, saturation, brightness/contrast, shadows/highlights, sharpen, noise removal. Besides these, it has some special effects for a fun look and also has a text tool. 90. Photocat – An online photo editor, image retoucher and collage creator, this app lets users make use of the available effects, make some basic image adjustments, use text tools, frames, retouching and has some templates for collage. 91. Picture2Life – an online photo editor that lets you make some quick fixes to your image which are basic adjustments and color adjustments, add some fun effects, make one-click adjustments, etc. A useful one for a quick online edit. 92. BeFunky – a free online photo editor with some essential tools to make basic adjustments and enhance the images. However, some of the features are available only in the “plus” version which is available for a subscription fee. 93. Splashup – an online photo editor that is versatile and lets the user make some basic adjustments to their images, has some standard tools for editing, allows working with layers and has some useful filters. 95. Fun Photo Box – an online photo editor with most of the basic adjustments, text tools, red-eye and blemish removal, effects, frames, etc. Can be used for a quick touch-up, but not for serious editing needs. 96. FotoFlexer – a web-based image editor which supports basic edits, has some effects. Working on full screen, and clicking on each tab gives the user access to individual edits available under each option. 97. Free Online Photo Editor – A free web-based image editor that lets the user do some basic enhancement to their photos and provides a set of filters and effects. 98. LunaPic – an online photo editor that has quite a few processing tools, filters, effects, borders and animation tools. Something that would help with a quick edit and share. 99. CutMyPic – an online image editor with very basic options to edit images like adjusting brightness, contrast, sharpen, de-noise, some filters, and special effects. It can be used just for exposure adjustments and nothing much more. Last, but by no means least, is some software that every photographer should use. It will help you plan your visit to a particular place to get shots in good weather and lighting conditions. 100. Photographer’s ephemeris – Well, the last free software here on our list is not about image processing, but something that helps a photographer to be in the right place at the right time, when the lighting conditions are just right. It gives the sunrise/sunset and moonrise/moonset times + the weather details for a particular location, thereby aiding photographers to make the best use of natural light for landscapes and cityscapes because it shows exactly how light will fall on the land for any location on earth. The Photographer’s ephemeris is free for desktop and paid for mobile. Are there any pieces of software that you know of, or you use that you think should have made to this list? Let us know about the apps you use in the comments below and why you think it is worth giving a try.